From the 18th to the 20th July 2011, the first Southern African Regional Feminist Tech Exchange (FTX) was hosted in Johannesburg, South Africa, by JASS (Just Associates) Southern Africa and Women’s Net. The Feminist Tech Exchange, organized under the Building Women’s Collective Power partnership, brought nine women’s rights activists from Malawi, Zambia and Zimbabwe together to share and build knowledge and skills on communication and ICTs from a feminist perspective. The exchange was convened as a way to strengthen women’s collective organizing power through the use of ICTs. It created a platform for women activists to explore how different forms of technology can support, strengthen or disrupt power and allowed for a greater understanding of emerging technologies, their potential and impact on the rights and lives of women. Address levels of literacy and technology for women in our region. Support women’s use of technology as a means of advancing women’s economic access. Ensure that women are part of content development to ensure that their voices are heard. Provide affordable access to technology for rural women. Develop deliberate women centered policies in relation to ICTs. Invest in infrastructure in our schools to enable e-learning, with a particular focus on girl children and the creation of a safe learning environment for them. The Co-Director of Women’s Net Lerato Legoabe said she felt honored to be part of a process that is defining new ways of organizing as women’s rights activists. 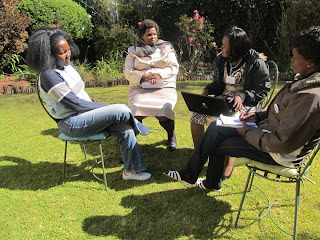 “Women’s Net is excited to be part of a space breeding a new layer of ICT advocates in Southern Africa.” said Legoabe. Shereen Essof, Regional Coordinator of JASS Southern Africa stated: “The FTX has been a radical, participatory feminist space in which women activists from a range of different contexts in the region, engaged with ICTs to support and strengthen women’s organizing. The meeting served as a catalyst … I look forward to more and more”. Women’s Net is a feminist organization that works to advance gender equality and justice in South Africa, through the use of Information and Communication Technologies (ICTs) while JASS is an international feminist organization dedicated to building and strengthening women’s voice, visibility and collective organizing power­­­­. Read more about the FTX and the participants on their Facebook page and Blog.